My sweet sister, Aimee called me late yesterday with the words to this song (below) as an encouragement for my weary heart. I am so tired….of the attacks from the enemy on seemingly every side against the families—striving for the cause of Christ. But friend, as long as we live, until the day of His return…which is nearing…we will be attacked—pushed….shoved….even tormented at times. If I told you all the things that has been going on in our lives since the beginning of this year—-you would even find it hard to believe. When my mother stood before us at Christmas with what I feel now, may have been a prophetic statement, I really don’t think I am stretching it to say that either…. (you’d have to know what we have all been dealing with)…her words come clearly back to me with the news of yet another “crisis”. She stood in the living room of our home at Christmas and poured her heart out to us as we listened….and wondered about her seemingly direct line to the throne. She has one. As far back as I can remember, she has had that line—directly attached to the ear of the Father. He has always listened intently. She has always leaned on Him. Her Savior and Lord. She taught us to do the same. When He wakes me from sleep, I can’t help but obey. I may stumble around a bit getting there…but get there I do. Sometime when misgivings darken the day…..
And faith’s light I cannot see…. I ask my dear Lord…to brighten the way…….. He whispers sweet peace to me….. When I am cast down….in spirit and soul…. He whispers….sweet peace to me….. I could not go on without him…I know….. The world would ‘ore whelm my soul…..
For I could not see…the right way to go…. When temptations o’re me roll…. I trust Him through faith…by faith hold His hand…. And sometimes my faith is weak…..
And then when I ask Him to take command….. It seems that I hear him speak….. He speaks in a still…small voice we are told…. A voice that dispels all fear…. And when I’m in doubt….or troubled in soul…. That still small voice….I can hear….. This entry was posted on Monday, April 21st, 2008 at 9:29 am	and posted in faith. You can follow any responses to this entry through the RSS 2.0 feed. Angie – what a beautiful song you have shared here. I love the words – especially the the chorus.I remember you telling me about your mom and prayer in your household. Yeah – the enemy likes to attack the ones that belong to the King of kings. I will continue to include you in my prayers. I am back 🙂 – Please enter me for the book-drawing Yes???? I am praying for God to spread His sweet peace all over your life my dear friend, I love you. Sweet Angie,I pray His perfect peace will fill your heart and mind.I can honestly tell you I understand how you are feeling. My family is walking through a similar time. I thought my worst nightmare had been realized a year or so ago only to have yet another thing hit our family. There are times I sense His presence and feel that peace so pallpably, and other times I feel so full of fear and so discouraged.I will pray for you and for your family. 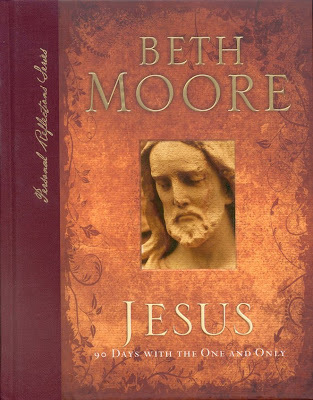 In spite of the way I sometimes feel, I really do believe that we will walk through these trials to the place of greater blessing (Beth Moore). He has promised to work all things together for good, and He is faithful. Sometimes it is the only thing to cling to.Blessings to you and to your family. I promse to keep you in my prayers.I would love it if you would enter me Angie. Looks like a precious book. I have never read any of her books….. I pray that the Father God speak and believers form a hedge around you …. We as brothers and sisters in the Lord need to stand in the gap of others… I will stand in the gap for you…….. Life sure can push us to our knees…… I have to see the surgeon tomorrow…. YUCK!!! but He is able to keep us……..